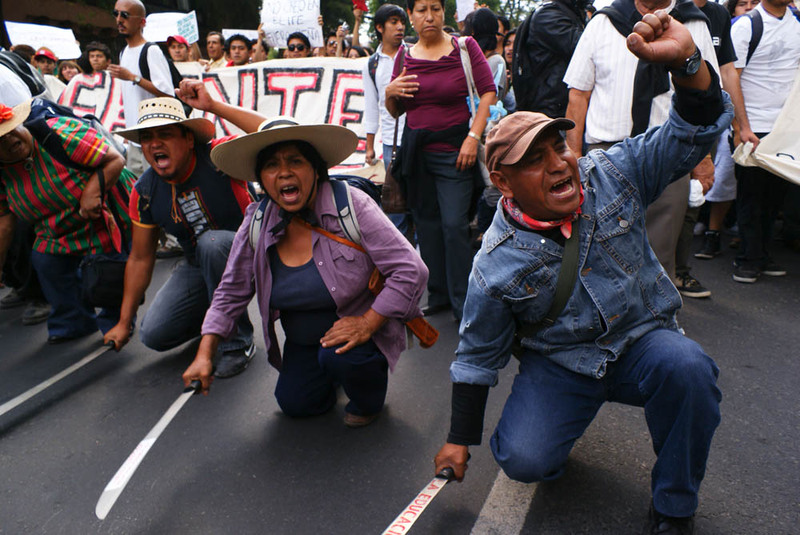 As the teachers’ strike in Mexico continued into the start of the school year, the last Insumisión column noted the tense situation developing, particularly in Oaxaca, with the break down of negotiations between the teachers union and the government and the arrival of hundreds of more federal forces to the state. 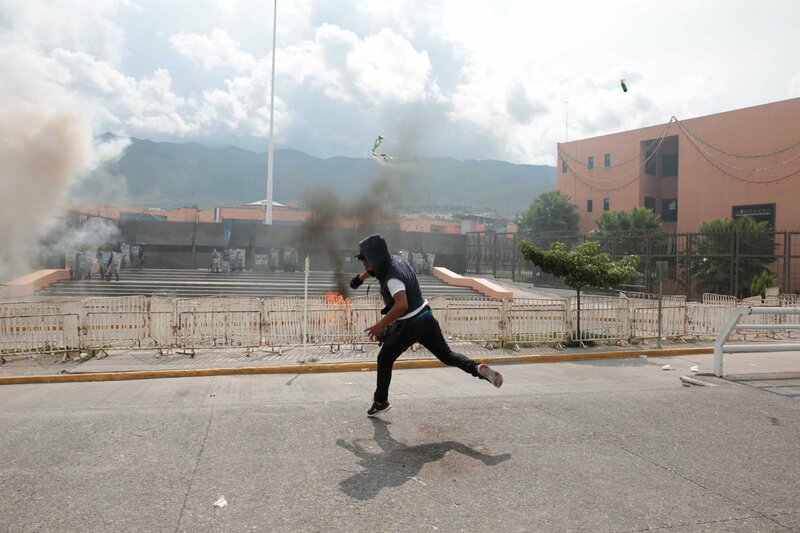 While there was a show of force by the Oaxaca state government before dawn on Sunday, September 11, the feared widespread repression did not occur. Instead, the struggle against the neoliberal educational reform and structural reforms in general has lost some of its consistency and coherency as various state sections of the National Coordinator of Education Workers (CNTE) take different approaches following the start of the school year. UPDATE 3: Scroll down or click here to updates as of 2pm Oaxaca time on July 3. UPDATE 2: Scroll down or click here to see updates as of 1am Oaxaca time on June 24. 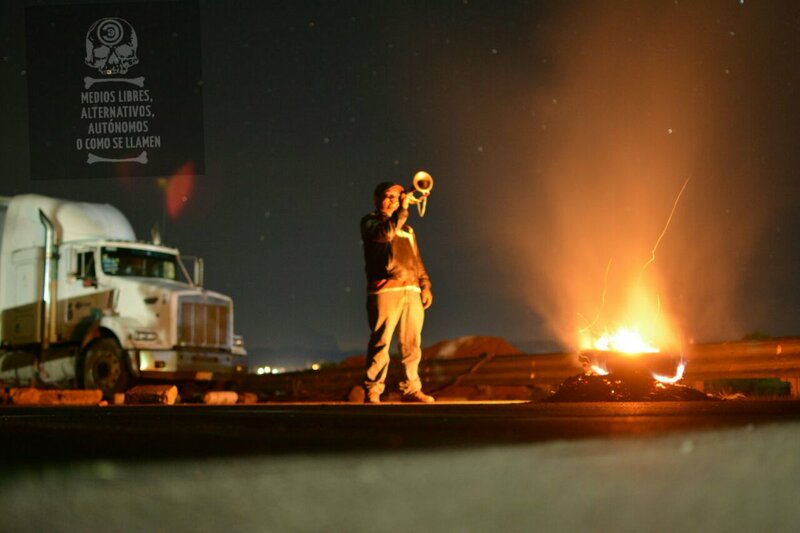 UPDATE: Scroll down or click here to see updates as of 2am Oaxaca time on June 21. Este texto también está disponible en español en El Enemigo Común. The looming federal police attack on the people and striking teachers of Oaxaca, Mexico has begun. 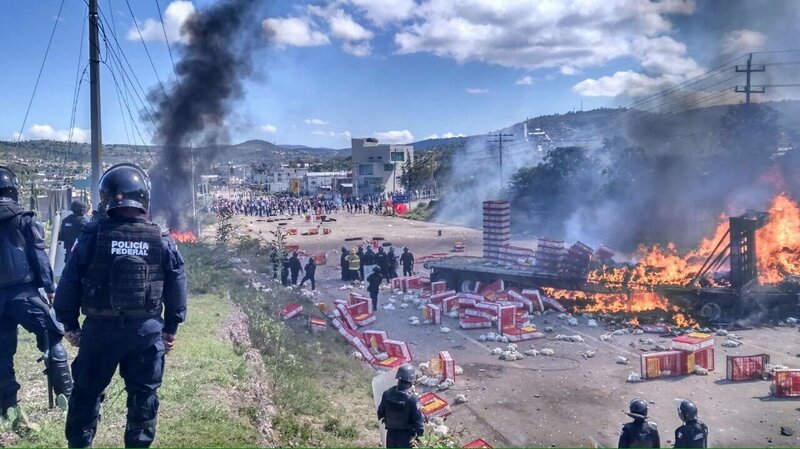 There are reports of between six and eight demonstrators killed Sunday morning at the teachers-peoples highway blockade in Nochixtlán, northwest of the city of Oaxaca. The eight dead that the movement is confirming are Oscar Aguilar Ramírez, 25, Andrés Sanabria García, 23, Anselmo Cruz Aquino, 33, Yalit Jiménez Santiago, 28, Oscar Nicolás Santiago, Omar González Santiago, 22, Antonio Perez García, and Jesús Cadena Sánchez, 19. They were shot and killed when police opened fire with live ammunition on the blockade. At least 45 others have been hospitalized with injuries, the majority gunshot wounds, and 22 have been disappeared.